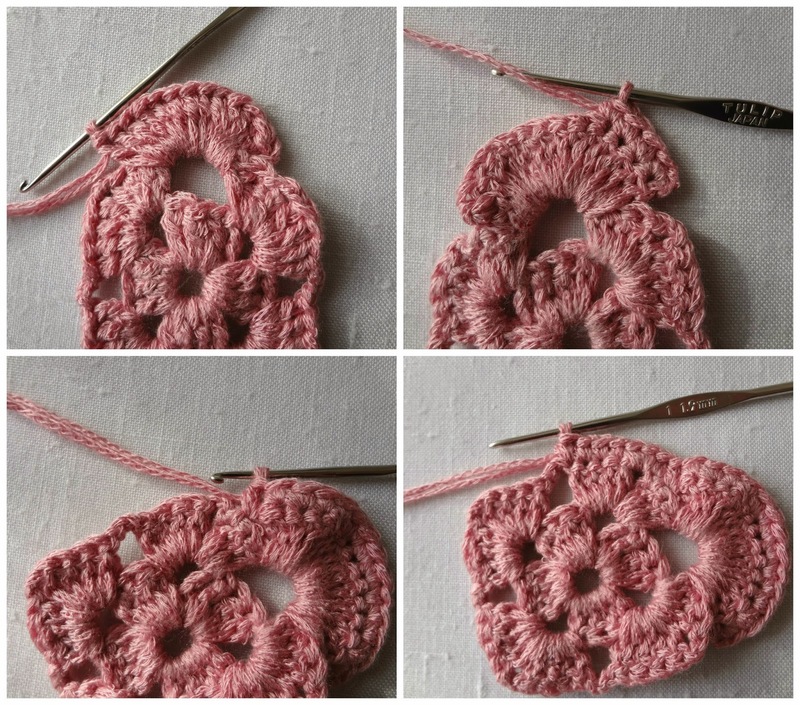 I had a plan to make a tutorial for the "How to read crochet charts" series and feature a heart pattern, just before Valentine's, but the chart I decided on was so unintelligible I decided to alter the pattern, and just write the pattern down. Inside the ring, chain 3 (counts as the 1st dc) and dc 3 more. "Chain 2 and dc 4". Repeat from "to" 2 times. You end the round by chaining 2 and sl st into the 1st chain of the round. This is a bit tricky - in that 2-chain you just made, chain 3 and dc 3. 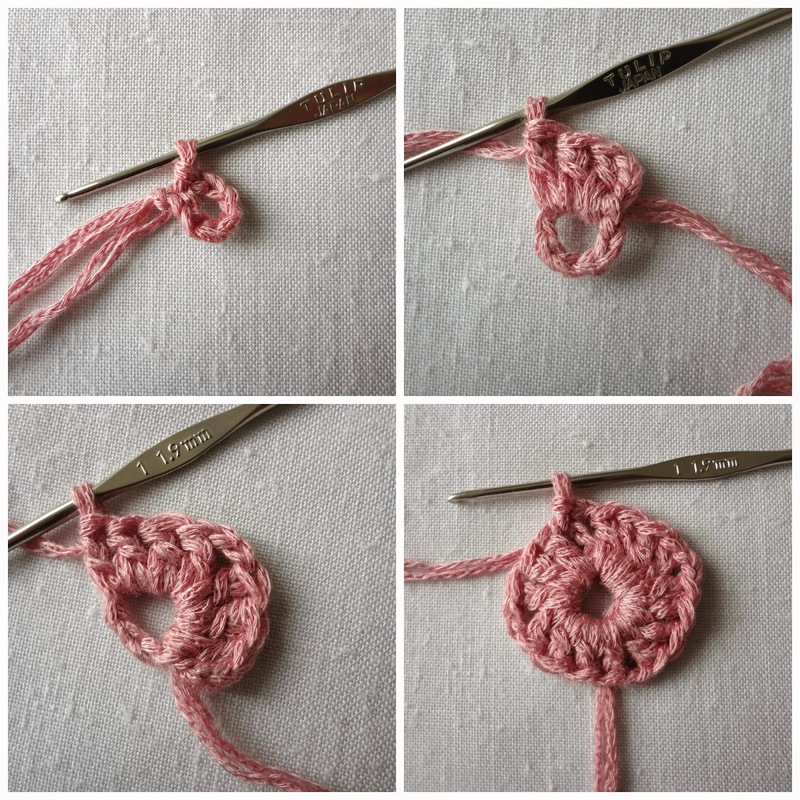 "Chain 3, skip the crochet part (the 4dcs below) and in the chain space dc4, chain 2 and dc4 more" (all in that chain space). Repeat the "pattern" to make a full round. To end the round dc 4, ch2 and join with the beginning dcs with a sl st. Rows 1+2: we'll be working on making the upper sides of the heart. Without cutting the yarn, chain 2 to bring the yarn closer to the 3-chain space. In the 3-chain space dc14, then chain 1, turn work and sc in all the 14 stitches across. Sc across the middle (center part) and when you come to the 3-chain (on the other side) fill it. That means dc14, ch 1,turn work and sc in all the 14 stitches across. Cut the yarn and tie / weave the end. Round 3: dc in every stitch around. To end, join with the 1st dc with a sl st. Cut yarn. Insert the yarn at the left upper side of the heart. Ch 4, make a picot, skip 1, sl st in next. Repeat this pattern to fill the heart and its right upper side. And that's it. I hope you enjoy making this lovely heart. 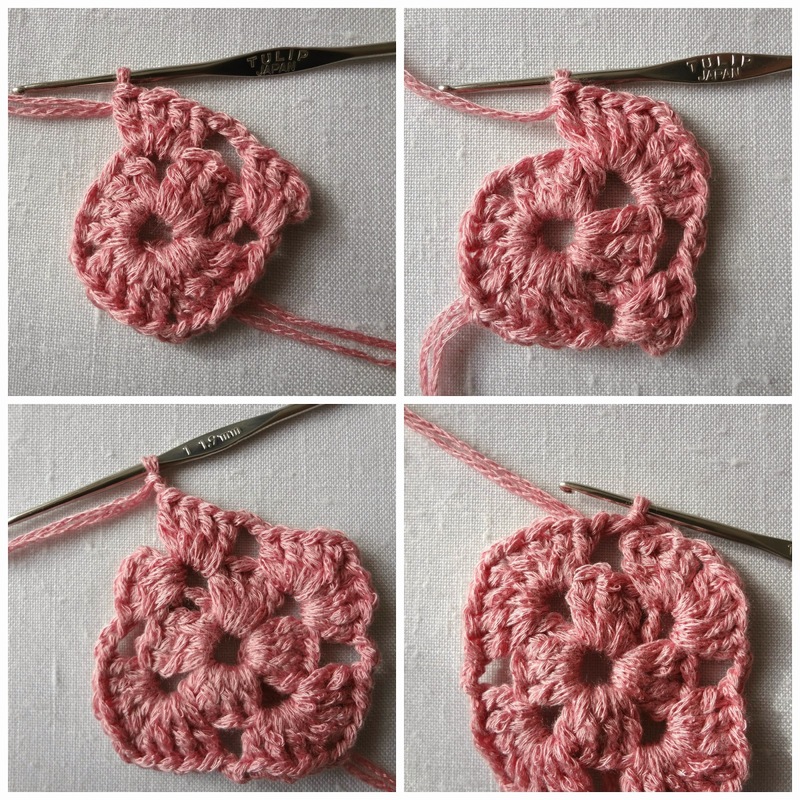 You can use it as an ornament, a doily, as applique, make a bunting or whatever you can think of. If you are curious about the unfortunate chart you can see it here. 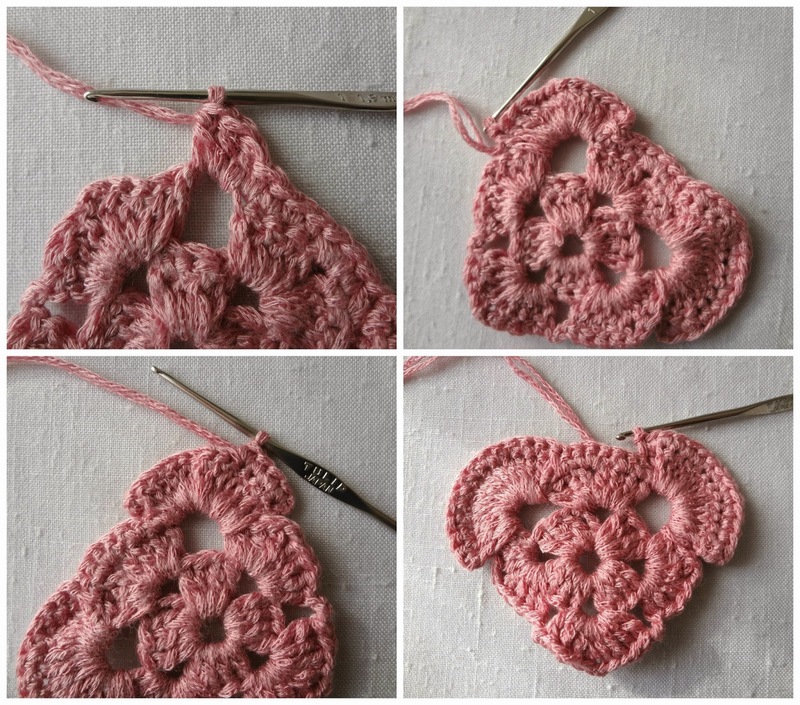 Later tonight you can get this as a step-by-step tutorial attached as a gift pattern to this heart bunting. thank you for sharing this lovely heart, Maya!!! It's so pretty. You are so creative and talented. 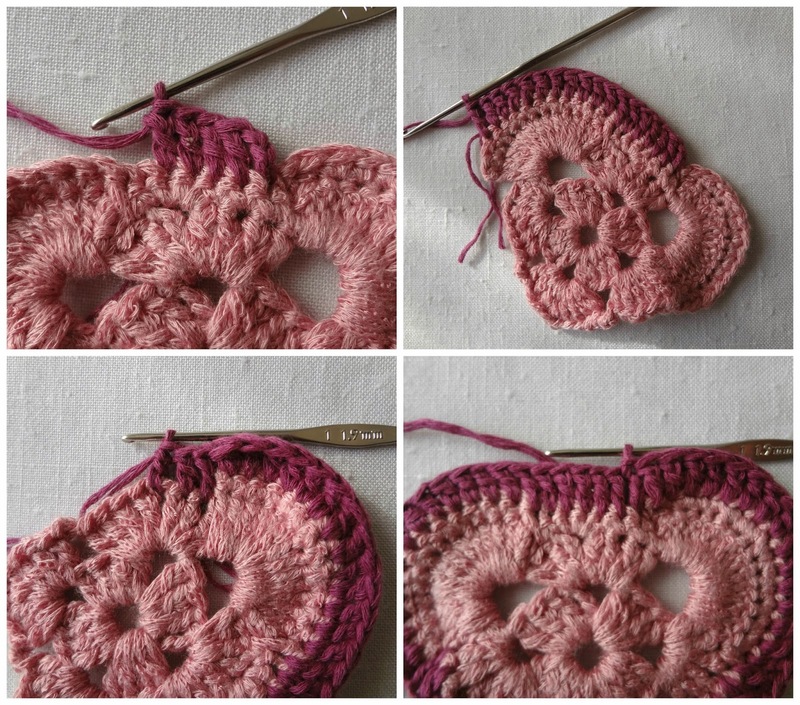 That looks so pretty Maya, you always make crochet look so easy (which it is to you, of course ;-) Love the heart you made with the two different colours! 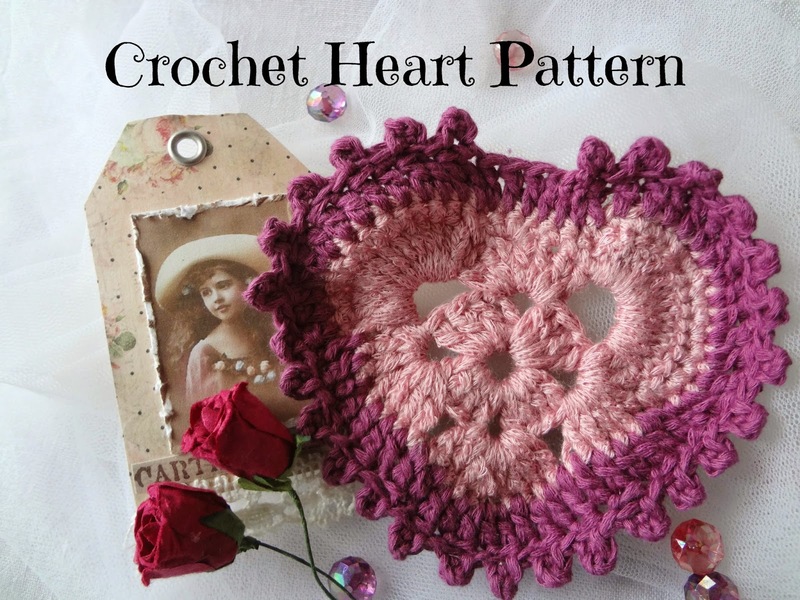 Love the beautiful vintage aspect of this sweet and easy little heart! Hi Maya, wow what a beautiful crocheted heart you made. Now I'm going to have to try and make this one you are sharing! I love the colors of the yarn you chose too. Thanks! That's so sweet Ira! Hugs! So glad you see it thst way Pat! My best to you! I'd be so happy if you do Julie! This heart is so pretty! Definitely going to try it. Did you also make the vintage tag behind it? It is seriously pretty as well. The vintage card is given to me by my blog friend Ira. She makes such gorgeousness and I love using her cards in my pictures. Vado matta per i cuori, questo è bellissimo, grazie per il tutorial. Very pretty! Thanks for sharing at the #HomeMattersParty - we hope you'll join us again next week! Lovely heart and gorgeous tag! Thank you for sharing great tutorial! 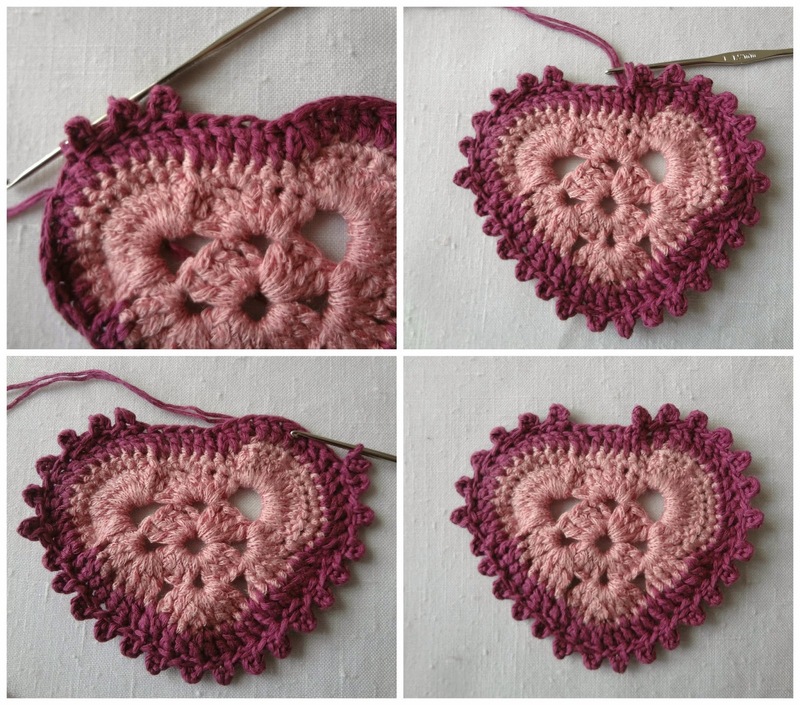 The colors you used in this tutorial make a lovely heart! Thanks for the instruction! Thank you for the sweet comment Abby! Such a lovely heart! Thanks for sharing the pattern and pictures.